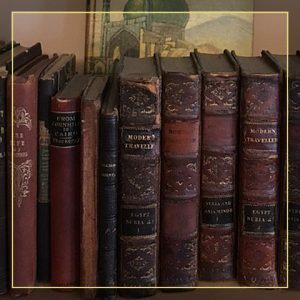 We conduct appraisals of book collections for insurance and estate purposes. We have provided appraisal services for major institutions, insurance companies and private collectors. We can provide advice on expanding your book collection from the historiography, collection theme, and tangent collection perspectives. We can provide advice on where to search for those “hard-to-find” books. Our model can assist libraries, museums, and other organizations to determine which parts of their book collections are candidates for de-accession. This model provides a mechanism to review and assess whether to retain/hold or de-access specific books within a collection. The assessment is performed from two perspectives: the organization and the book. Please contact us to discuss how me might be of service to you in your book collecting needs.